I saw this quote floating around on the Internet and I loved it for so many reasons. A blank page, depending on your view point, can be a cage to imprison you or wings to give you your freedom. I love to write so I’m pretty familiar with the feeling of sitting down and opening up to a blank page. Honestly, sometimes, I can let that page tie me up and hold me hostage. It can be a little intimidating. There it sits, a wide open space, just waiting for me to fill it with whatever I chose. That blank page can be scary if I start to wonder what people will think about me and what I write. I can let their opinions shape the words I’m putting on the paper. I can start to feel insecure and limited. The pressure to make this blank space into something worthwhile and beautiful can weigh on me as well. I want to be relevant and encouraging. I want to show love and character. I want my words and the use of this page to matter. That beautiful blank page can become like a cage to imprison me, if I let it. Or I can shift my perspective. I can look at that beautiful blank page as wings to give me freedom. That blank page is mine. I can dream, hope, think, process, and connect with people through that page. I can shake off the insecurities and the fears. I can kick aside the expectations. And I can just write about the things that I hold dear. I can express myself and enjoy the freedom that comes from just putting pen to paper. Each time I open up my notebook to a fresh, new, blank page; I get to make the choice as to which perspective I will view it through. 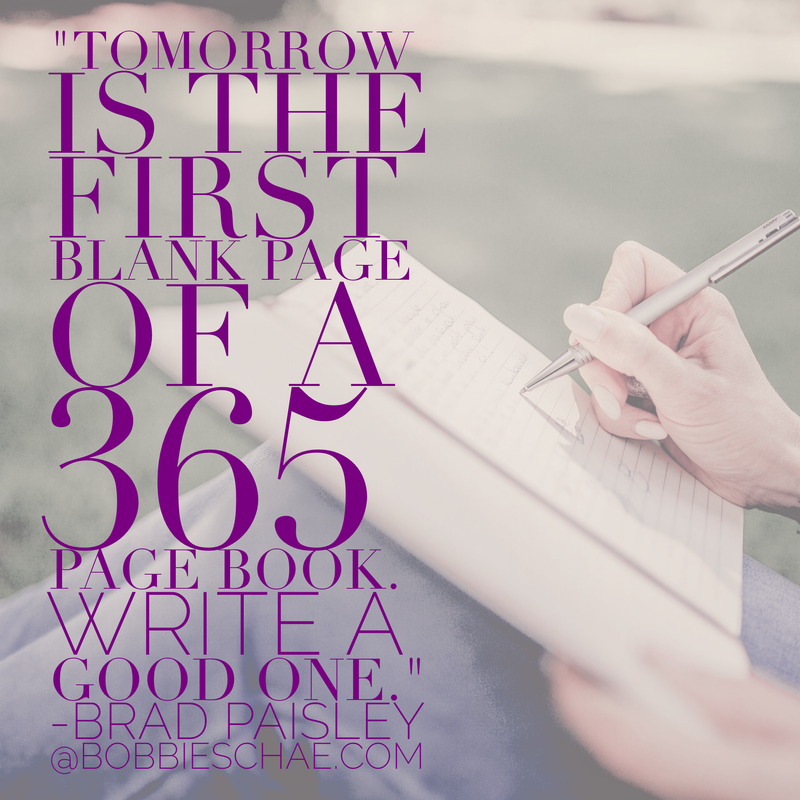 In 2016, I choose to fill my blank pages with the murmurings of my heart. I choose to not be improsioned by my own or someone else’s thoughts. I choose to use the blank pages as wings to fly!